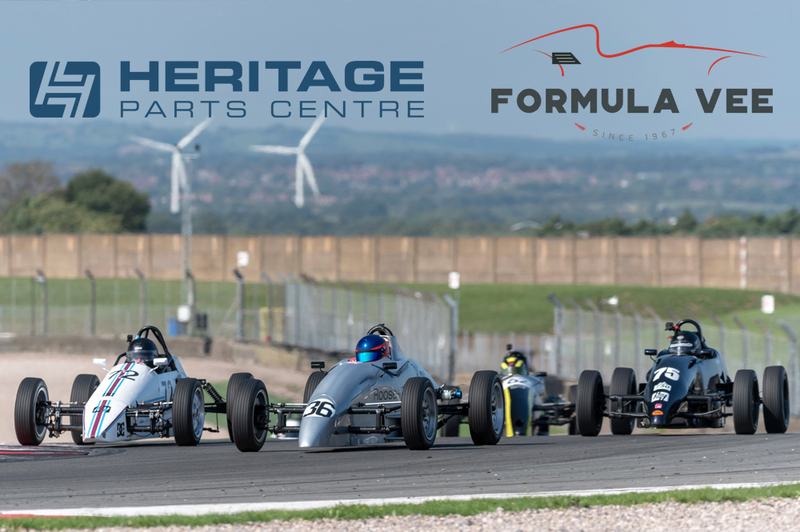 We are delighted to announce the return of Heritage Parts Centre as title sponsor of the 2019 Formula Vee Championship. A longstanding Vee partner and parts supplier, the Sussex-based company will once again generously donate a 'Driver Of The Day' prize, with a £50 parts voucher for each 2019 Formula Vee weekend across the season. That's not all, since we can also now confirm that the Silverstone International rounds of the 2019 championship will be streamed live on Facebook and YouTube by Alpha Live and available afterwards in a Web TV edit. Steer yourself to www.heritagepartscentre.com or call 01273 444000 to browse and order from more than 19,000 parts in stock - and don't forget to Like the Heritage Parts Centre Facebook page for competitions that include Vee race weekend ticket giveaways.